Apple on Tuesday issued an update to its 15-inch MacBook Pro with Retina display, adding faster Intel processors, as well as the new pressure-sensitive Force Touch trackpad. The new trackpad, previously available on the 13-inch MacBook Pro and 12-inch MacBook, has built-in force sensors and a Taptic Engine that delivers haptic feedback. It allows users to click anywhere with a uniform feel, and users can even customize the amount of pressure needed to register each click. Force Touch opens up a range of new gestures, including the new force click. 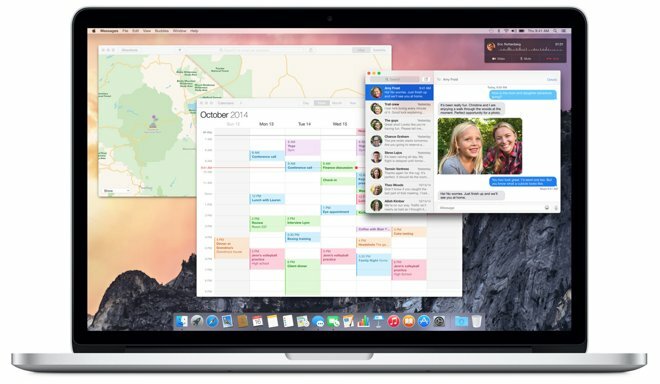 Developers can tap into these expanded capabilities with new APIs available in the latest builds of OS X Yosemite. 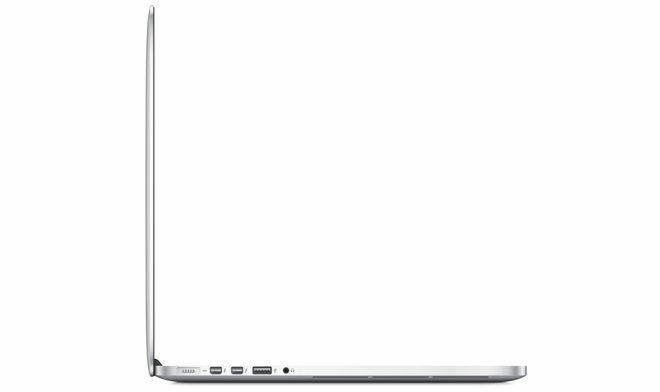 And with refreshed Intel processors, the new 15-inch MacBook starts with a 2.2-gigahertz Intel Core i7 chip for $1,999, upgradeable to a 2.5-gigahertz processor and dedicated AMD Radeon R9 M370X graphics card for $2,499. Notably, the chips are not Intel's latest-generation "Broadwell" processors, which remain unavailable in quad-core configurations. As a result, Apple is still utilizing the previous-generation "Haswell" architecture, albeit at faster speeds. The updated 15-inch MacBook Pro with Retina display also features up to 2.5 times faster flash storage than the previous generation, with throughput up to 2GBps. Apple also claims that the notebook offers an additional hour of battery life, with up to 9 hours of wireless web browsing and up to 9 hours of iTunes movie playback. In addition, MacBook Pro with Retina display discrete graphics deliver up to 80 percent faster performance using new AMD Radeon R9 M370X graphics for editing video in Final Cut Pro X, rendering 3D images in pro graphics apps or playing high-resolution games. 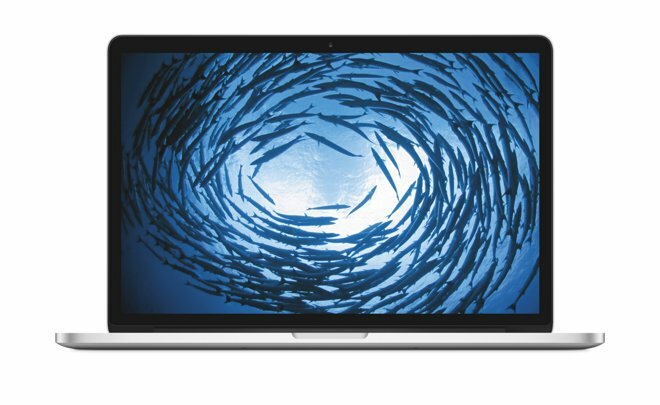 AppleInsider first noted last week that Apple had begun discontinuing multiple 15-inch MacBook Pro models ahead of the introduction of new hardware. Additional reports correctly indicated that both the 15-inch MacBook Pro and 27-inch iMac would see upgrades this week. Configure-to-order options include faster quad-core Intel Core i7 processors up to 2.8 GHz with Turbo Boost speeds up to 4.0 GHz and flash storage up to 1TB. Readers planning to purchase Apple's new 15-inch MacBook Pro, 27-inch iMac, 12-inch MacBook or otherwise may want to lock in a cash buyback offer from AppleInsider partner Gazelle on their old model, before payouts fall. See our previous coverage on Gazelle's buyback programs for more details.